The farm is on a bend of the River Severn in Gloucestershire. The house, is a Grade II* listed manor house with an intact, square-shaped moat. charity using low impact, traditional methods. There are a total of 140 acres, 80 of which are grazed by our neighbouring farmers. The charity farms 60 acres. 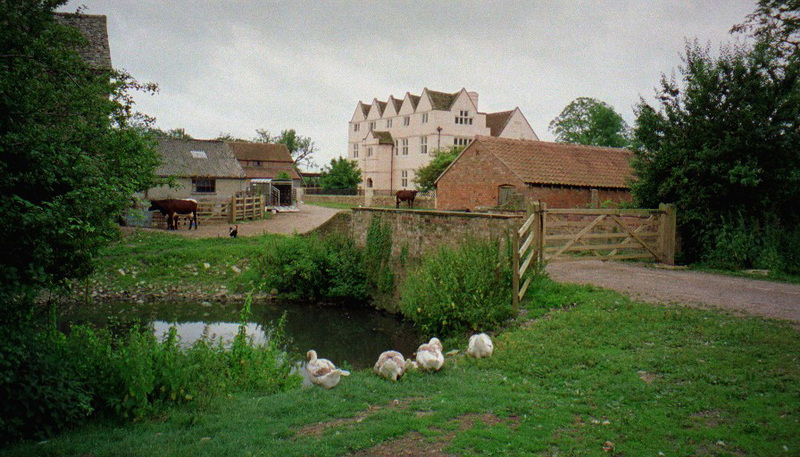 Wick Court is a small-scale traditional livestock farm, with sheep, beef cattle, pigs and poultry. Wick Court also has a busy stable yard, where the children help care for ponies and horses. To illustrate the contrast in farming styles, the children also work at a neighbouring commercial dairy farm with father and son Tim and David Merrett.